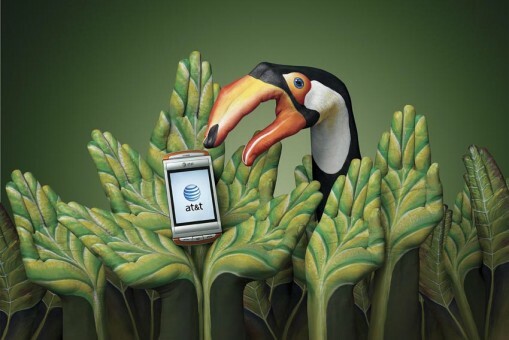 AT&T Wireless highlights the fabulous talents of Guido Daniele with incredible hand paintings. While these images have been around for some time, I recently received another email with them. Take a look at the ad spots and some of the other advertisements Guido has done. Creative design and layout are key to a marketing campaign of any type. The goal is to grab and keep the audience's attention. Websites, print, email, and other media types benefit greatly from captivating design. Web design, print design, and other media designs should all have a purpose. For example, a website designed for high conversion will highlight key elements to drive the audience forward. These design elements are called " Calls to Action". However, a branding campaign can be more artistic, like these AT&T ads. Visit the Vauntium Marketing and Design Library for the growing list of helpful articles. These are the coolest paintings. Hard to believe they are hands.